System Mechanic is able to provide the most complete approach to PC care because it integrates 50+ diagnostic, repair, and optimization features into one easy-to-use interface. Plus it leverages unique intelligence provided by iolo Labs' continuously updated Tune-up Definitions™ to custom tailor its diagnosis and repair to your specific system configuration. Internet Speed up your PC... and more! More than 50 features sounds like a lot - and it is! - but System Mechanic is designed so that you can quickly get to the repairs and optimizations you need, skip those you don't, and explore as much or as little about your PC as you'd like. For example, useSystem Mechanic to find and remove junk and clutter, which is one of the most insidious factors in Window System performance degradation and a threat to your privacy. Keeps your PC running swiftly and stably by automatically installing critical hard disk drive updates. Device drivers are files filled with critical information that instruct your computer and the devices connected to it how to operate together effectively. All of the hardware on a PC—from the keyboard and mouse to the CPU and Wi-Fi adapter—require an up-to-date driver to keep them in good working order. Because they perform such essential tasks, keeping your drivers updated and in good working condition is central to ensuring your PC's overall stability and performance. 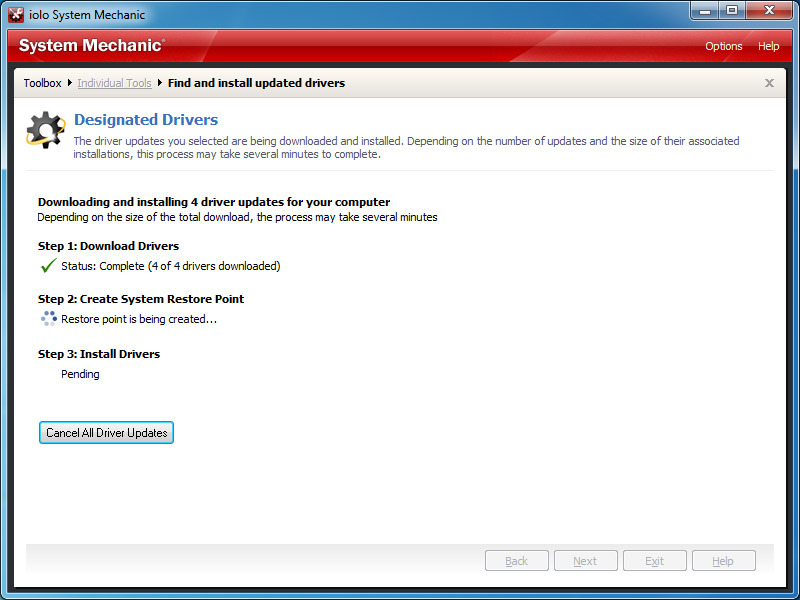 However, the process of manually updating drivers can be frustrating and time-consuming. Designated Drivers™—available exclusively in System Mechanic 10.5—lets you update all of your PC's drivers with just one click, now making driver updates a painless process. Designated Drivers is the only tool of its kind to exclusively use Microsoft-approved driver updates, which have gone through two rounds of quality assurance testing to ensure the updates are safe, reliable, and broadly compatible. Streamlines, optimizes, and prolongs the life of modern solid-state drives, keeping them running at peak performance. Although solid state drives (SSDs) enjoy a significant speed advantage over traditional hard disk drives, it doesn't mean they are impervious to slowdown or degradation over time. With regular, everyday use, many users have found that these drives begin to suffer from incremental performance loss. To resolve this problem, iolo's engineers designed SSD Accelerator™ to proactively optimize solid state drives to keep them running at the peak of speed and efficiency. 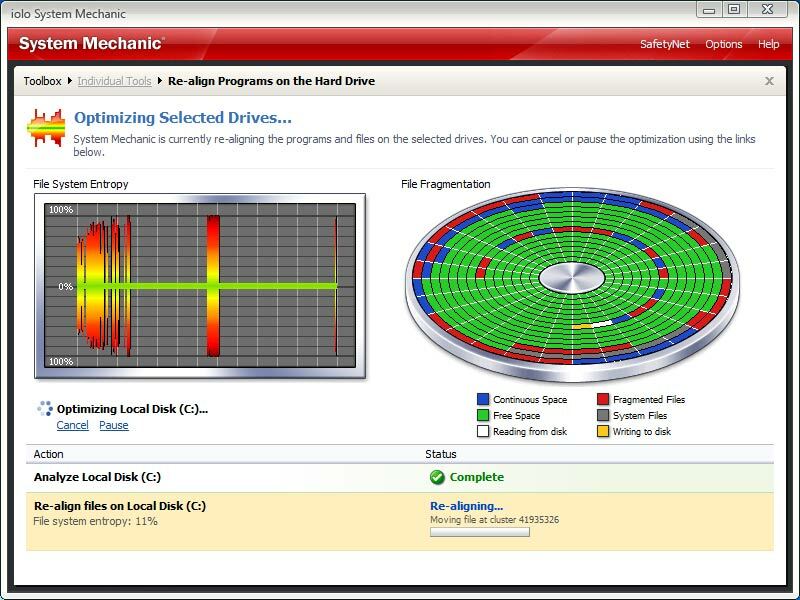 SSD Accelerator has also been designed to work together with System Mechanic's other drive optimization tools and its patented ActiveCare® technology in order to ensure that all of your data storage drives are automatically optimized for maximum performance and longevity on a regular basis. Speeds up overall program responsiveness by re-aligning all of a program's dependent files on the hard drive. The problem: program misalignment is a major system slowdown caused by Windows and software update. It leads to progressively slower program launch and responsiveness as dependent files become scattered all over the hard drive. Disk defragmenters make it worse, blindly compacting and separating related files even more! Bottom line: Program Accelerator™ jump-starts your sluggish programs by fully re-aligning your whole PC file system. Commonly Redundant or Unnecessary Decelerators and Destabilizers (CRUDD) Remover™ helps identify and eliminate duplicate programs that clog your system. In addition to all the programs you install yourself, there's the software that came with your PC that you've probably never used, as well as any number of programs that may have installed themselves on your computer without your knowledge! Removing unneeded programs speeds up a PC significantly. The CRUDD Remover's™ expert intelligence takes the hassle and guesswork out of finding, classifying, and presenting them all, so you can choose to remove unnecessary software that's bloating your system. 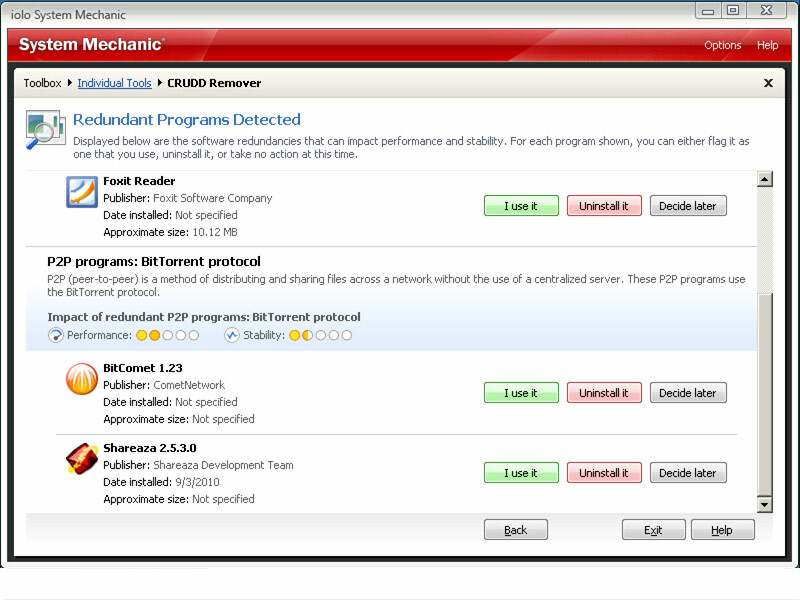 Now, keep all your household PCs running at maximum performance with just a single license of System Mechanic! Get more performance and more value with the first-ever software license that is good for every PC in your single family household. Giveaway What Is IP Address Lookup? 1) Run the CD "PC World", locate the description of the program, System Mechanic, and click "Install". 2) Click here to complete the registration process and get free activation code by email. 3) After completing the registration process and receive a free activation code by email, enter your activation code in the System Mechanic, to get the full six-month license program.